Re-launched at the end of 2013, just at the turn of its 60th anniversary year, The Lister Motor Company has enjoyed an unprecedented return to sports car manufacturing, rapidly taking orders for their exciting anniversary ‘Knobbly’ sports racing cars from customers keen to buy into the heritage of one the most historic and significant of all the British sports and racing car manufacturers. In the past 12 months since Lister’s re-birth, the company has successfully sold nine of the limited run of its £350,000 ‘Knobbly’ anniversary cars generating an order book with a value of over £3million, whilst also establishing the ‘Brian Lister Trophy’ - awarded to the most successful competitor racing a Lister car in the historic racing scene. Furthermore, the father and son team behind the company’s re-launch, Lawrence and Andrew Whittaker, have also been nominated for the ‘Personal Achievement Award’ in the UK’s prestigious International Historic Motoring Awards. 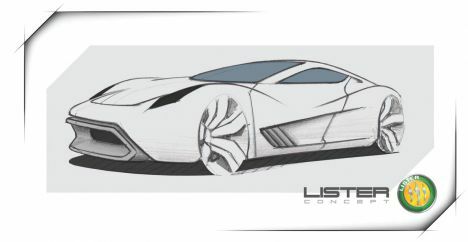 Now, the management team has announced its desire to expand the Lister business into new and exciting product development, with the intention of launching a new, highly sophisticated Hypercar that will return Lister to the leading edge of low-volume sports car manufacturing in the UK as well as Asia and North America. Lotus Exige S Automatic? It's no joke! New Juke Nismo RS on the way! New Discovery Sport to get a bigger 'boot' than Freelander?